Although our craft range of products may look like others, it’s the quality which sets them apart. From our hand sewing needles to our magnetic pin cushions, the standard of The Fabric Care Company’s sewing and craft accessories is beyond doubt. Our self-threading and snag repair needles are made from high-quality stainless steel with golden tips. As gold is a softer metal it provides a smoother surface, avoiding shredding and breakage of the thread fibres. Our golden tip self-threading hand-sewing needles also prevent the thread from pulling out of the clip tip whilst in use. So easy to use! Simply pull the thread down through the clip and the needle is threaded. These needles are the ideal hand-sewing needles for the elderly and vision impaired. Each pack contains three sizes, 4 / 6 / 8s. Great for embroidery thread and wool, too! A garment can be so easily ruined by an unsightly pulled or loose thread. Our snag repair tool instantly repairs loose and pulled threads. 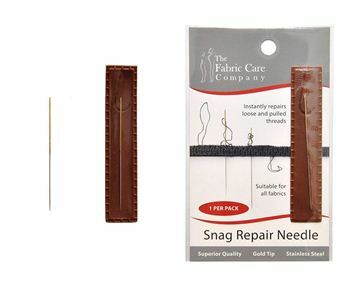 The snag repair needle features a fine rasp which grips untidy threads and pulls them through to the reverse of the fabric. Suitable for all fabrics. 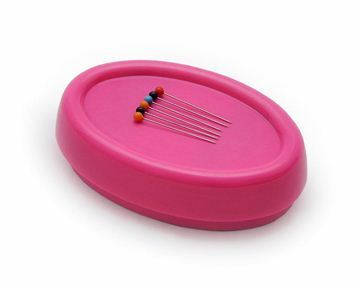 Store all our unique yet handy needles on our bright and easy-to-find magnetic pin cushion, which is . Perfect for picking up stray or lost needles from the floor or table. Many magnetic pin cushions have a low pull force and magnetic field, which results in a lightweight product and low-quality function. Our magnetic pin cushions feature an extra-strength magnet with a high pull force and magnetic field for a strong pulling power and hold. The result is a heavier more robust design. Also handy for picking up and storing other metal objects such as nails, paperclips and screws. 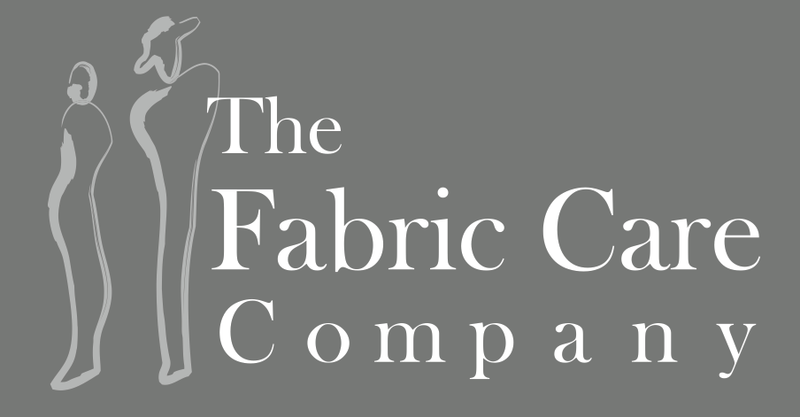 Whether it’s sewing needles, clothing and fabric pilling removers or lint rollers and removers, The Fabric Care Company offers an incomparable range of fabric care products to buy online. Please contact us online or call (03) 9318 6338 for more information.